Today I was asked about how arrays work in Microsoft Flow. 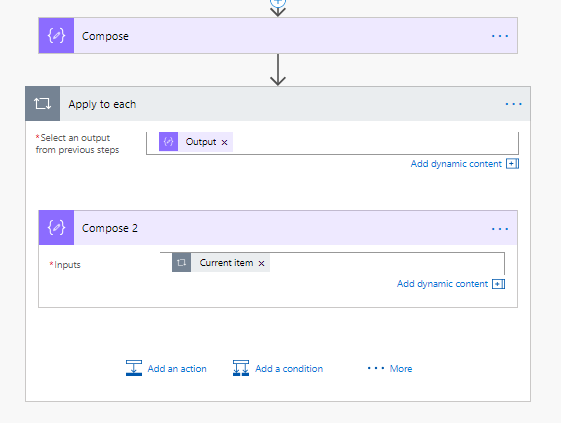 In this post I will go through many of the common scenarios that you may face with arrays in Microsoft Flow. I will start with creating arrays, then I will look at manipulating arrays, but first of all what are arrays? In most common programming languages you will recognize the term array as a block of related data elements. You could see this as a table or a list list alike data structure. I’m going to start with the following table of data. I want to create an array like the above table. In flow I could now create an array using the createArray function. Where do I find arrays? Running through the Apply to each you will find the separate elements of my array. So far this post is all about creating arrays and then stepping through arrays. Now that we have some basic understanding of arrays in Flow it is time to get some real arrays. 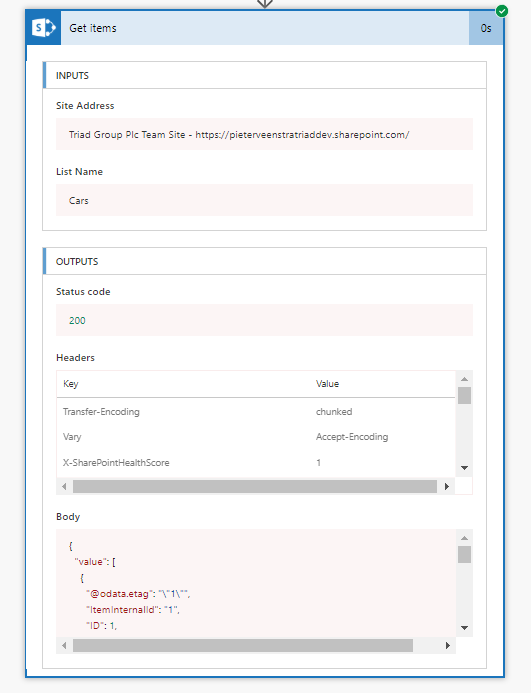 For this I’m going to create a list in SharePoint with the same data as in the above table. 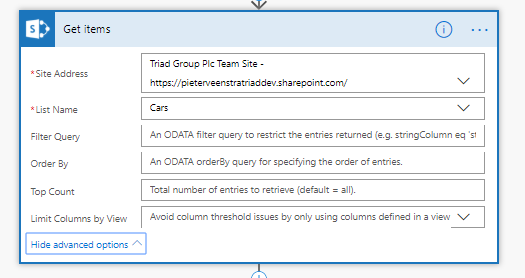 Using the Get Items action from the SharePoint connector I can now read the data form this list. This is where the data in Microsoft Flow can become difficult to understand. The above JSON might need a second look before you really understand what data can be found. Flow is making your life easy here! 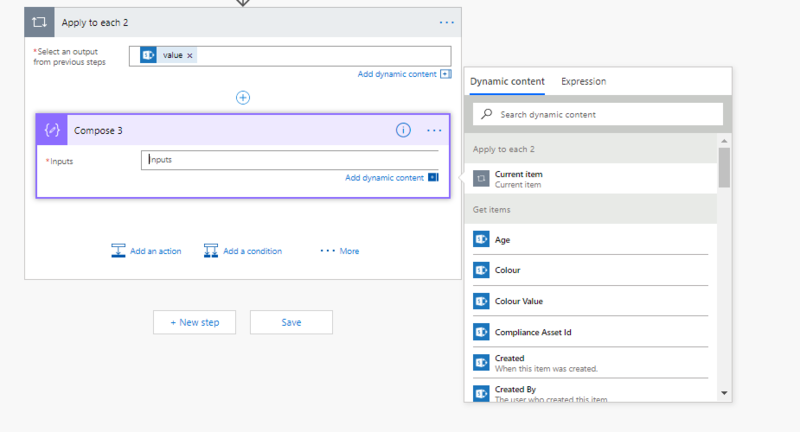 Use dynamic content and you simply get your SharePoint list columns back. It even help you with the complexities around lookups, dates and other column types. 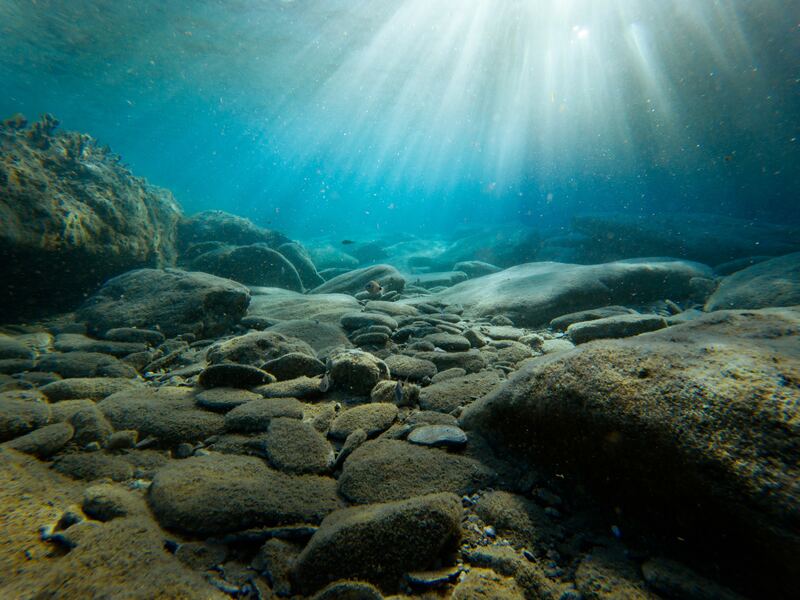 Time for a step into the deep end. There is a lot more we can do with arrays. I’m going to start with the arrays functions available within Microosft Flow. You will notice that in the referenced article the term Collections is also used. contains Check whether a collection has a specific item. empty Check whether a collection is empty. first Return the first item from a collection. intersection Return a collection that has only the common items across the specified collections. join Return a string that has all the items from an array, separated by the specified character. last Return the last item from a collection. length Return the number of items in a string or array. skip Remove items from the front of a collection, and return all the other items. take Return items from the front of a collection. union Return a collection that has all the items from the specified collections. Hey, I want to do more! Where is the sort function? Well remember when we got the data from my SharePoint list? 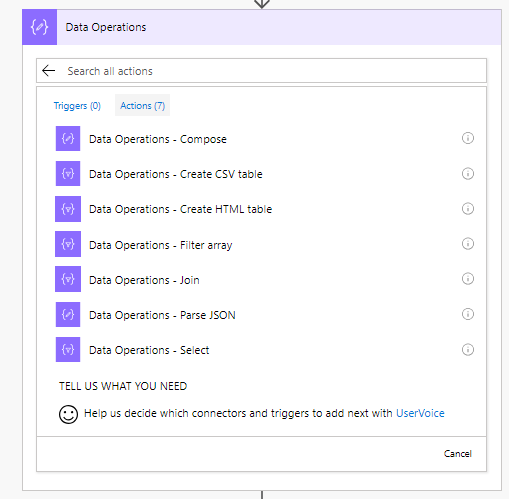 In the Get Items action you can sort your data. So you might want to sort your data when you collect your data. The contains functions checks your array for any values or elements in your collection or array. Looking at the following 3 examples. The first 2 return false where the last one returns true. Within the last example I selected a single record form my array before checking with the contains function for my car brand. Where in the first two examples I’m supplying an array of array to the contains function. Empty checks the length of the Collection if no items are found in the array then true is returned. Note that this is not the same as comparing an array to a null value. The First functions returns the first item form the collection. See the 3rd example from the contains section above for a real example. Imagine that you have two arrays and you want to get the items that exist in both collection. and Now you want to find the items that exist in both collections. So you could for example have two lists with cars. One list is called my cars and one is called insured cars if you now want to find out which of your cars are insured you could use the intersection function. 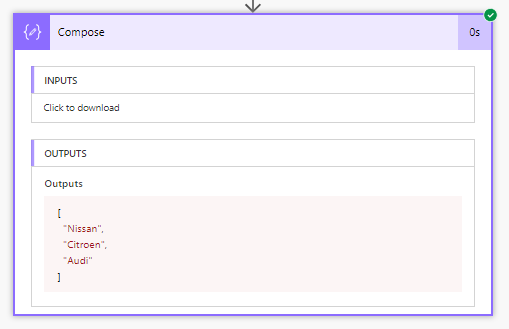 When you have an array of strings and you would like to create a character separated list of strings then you could do this with the join function. Have you ever has a list of users in SharePoint and you wanted to email them all? The last function is similar the the first function, other than that you get the last element in the array rather than the first one. The length function gives you the number of elements in a collection. Nothing exciting here. With the skip function you can select all elements after a certain position. The take function is simialr to the skipp fucntion but now you can collect all the elements up to a certain point in your array. 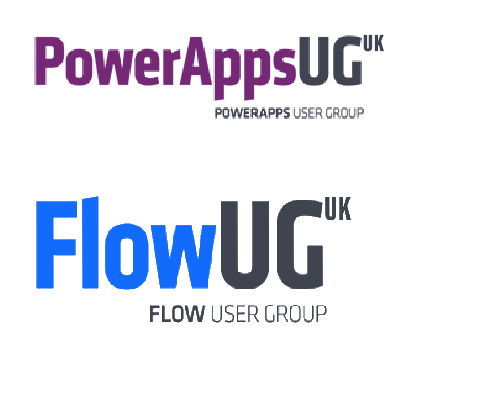 Did you notice that Flow really doesn’t care that these two arrays are not exactly the same. As Flow will just consider these two arrays to be JSON. It is just gluing the two collections of data together. this is where a sort might be important, although most of the times you will find that you will just want to process each element in your collection and the order really doesn’t matter. The select action I also want to include here. 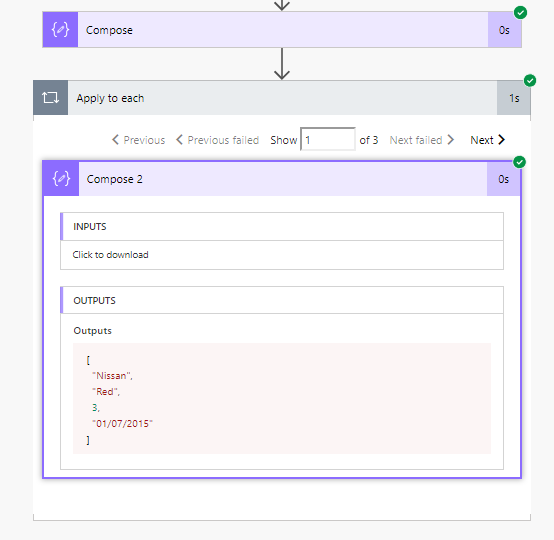 Although Select is not a function within Microsoft Flow it can help you transform an array of elements. If you want to filter your array data then please have a look at my filter data in arrays posts. As I mentioned a few time in the article there is no sort of array elements. Can you implement quick sort in flow? 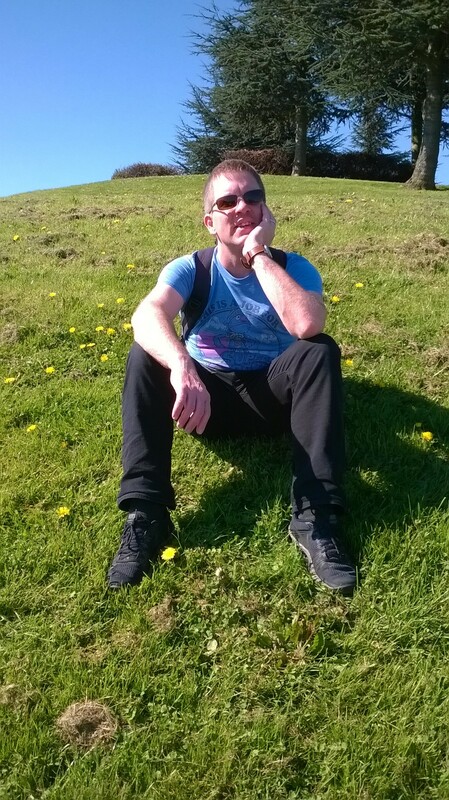 ‹ SharePoint 2016 – Office Online – Why are we passing a null request when creating a response?